Enjoy club perks – ONLINE! Each month my local Stamp Club gets together to create projects and learn new techniques. You can now experience my clubs… ONLINE! Join the ONLINE CLUB – from anywhere in Canada! Shop online and earn free rewards! Each month I will post a Host Code. When you place an online order for $60 or more, you will qualify for the Online Club perks! What are the ONLINE CLUB perks? Each month that you order you’ll receive 3 completed projects for your enjoyment and a free PRODUCT gift to add to your stamping collection. Joining the ONLINE CLUB is as easy as 1, 2, 3! Place your order with the Host Code of the month. Visit my online store and order ANYTHING you want – punches, Big Shot dies, clearance rack items – it’s up to you! Orders for $60 or more in product AUTOMATICALLY qualify for the Online Club perks. When you place your order, be sure to click “yes” for contact. If you click the ‘no’ box for contact from your demonstrator, I can’t see who placed the order and I won’t be able to send you your perks. Use the Host Code – Check the code of the month above and add it on the shopping bag page in my online store when you order. Please note: *If your order is over $200, do NOT add the code. 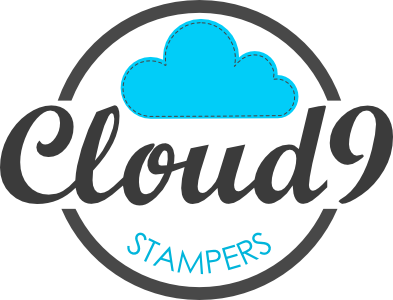 You will have earned your own set of Stampin’ Rewards to redeem directly from Stampin’ Up! and I want you to take advantage of those rewards! Watch your email – Within 2 business days of your order, you’ll receive a thank you email from me with details about the Online Club projects for that month. Watch your mailbox – at the end of the month, you’ll get a package in the mail from me with your free gift, and your 3 projects! Your online order is shipped directly to you through UPS within about 8 business days. Online Club perks will mail at the end of the month. In your package will be a free gift, and 3 projects. Should I add the hostess code if my order is over $200? Stampin’ Up! has a reward program that begins at $200! Enjoy your own rewards with that order. I will still send you the 3 projects and tutorials at the end of the month as a thank-you for your order. I didn’t get an email from you within 2 business days after my order. What should I do? Please email me and I will sort it out for you as soon as possible. I am currently in your local club. Do I also receive online rewards? Local club members will receive online rewards if they place a separate order from the local club. This would require two separate orders in one month. Just place your online $60 order with me using this month’s host code and you’ll receive your order AND your Online Club perks!